Today there is only one new contest as part of the HP Magic Giveaway contest. So to win you need to email me magic@thedigitallifestyle.com and tell me who is getting the kit and most importantly why you think they deserve it. So the better the magic the better your chance of winning, it could be a local charity, school or someone else you feel deserves the prizes. No complaining if you don't win and no youtube rants! For the rest of the details and rules of Ian’s contest head over to The Digital Lifestyle here. Radio Shack with the help of AT&T are offering people a pretty good deal in the form of the Acer Aspire One, an ultra-small laptop with built-in 3G connectivity for $99 with qualifying new 2-year AT&T AirCard agreement on rate plans $60/mo. or more or for $499.99 unactivated. 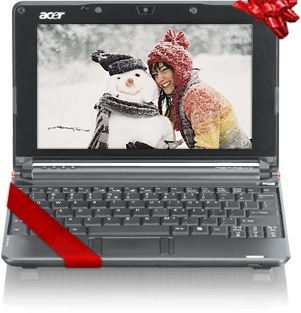 The 2.44-pound Acer Aspire One features an 8.9" display, Intel Atom processor, 1GB of RAM, webcam, WiFi (b and g) and a 160GB hard drive in an ultra-compact size measuring 9.8" x 6.7" x 1.1" (W x D x H). The Acer Aspire One runs Windows XP and also features a built-in webcam for video conferencing.The Acer Aspire One includes a built-in cellular modem with quad-band GSM (850/900/1800/1900MHz) support in addition to tri-band UMTS (850/1900/2100MHz) support, with HSPA for high-speed data. The deal is available in Radio Shack stores, as well as through the Radio Shack website, through December 24th, 2008. Not a bad deal, which is about the same price as a wireless card was last year. Today there are 2 additional contests of the HP Magic Giveaway contest. This is simple. Just fill out a short survey and wait until next week to know if you are one among the seven lucky winners. I am looking for your feedback, new ideas, suggestions or constructive criticism on how to improve Digital Inspiration. This will be a strong criteria while choosing the winners. You can enter the contest any time between December 14 and December 20. Multiple entries per person are allowed. There are no age or country restrictions. For more information and rules on this contest head here. This is a "Magic Giveaway" so we would like the winner to share the luck - and happiness - with someone special. You are not required to do this, but if you want to send one of the prize items to someone else - a relative who would benefit from a new PC at school or university, a neighbour in need, a school or doctor - we can ship that on your behalf, with a card and all expenses paid. To enter our competition you have to just answer this question: "List the names of at least five people behind the blogs Sharing the Magic in this promotion". It's easy, you just need to visit the HP Magic Giveaway official site to find out more about the other participant websites. Enter the answer in our online form and submit your entry. We have a discussion about the HP Magic Giveaway going on here. You don't have to but it would be great if you posted a reply in that discussion telling us about you and if you are to share the prize with anyone tell us why. Posting will not increase your chances, and not posting won't reduce your chances. For more information and the rules on Mauricio’s contest over at GeekZone head here. Be sure to check out the other contests going on for more chances to win. Today there is only one additional contest of the HP Magic Giveaway contest. You have to be a current college or graduate student to enter. You have to e-mail me by midnight EST on Wednesday 12/17 with a proposal for how you would play Santa Claus at your school this season if you were to win. In other words, make a pitch for how you would distribute this equipment at your school if you were to win the contest. (Of course, I assume that you’ll keep one of the machines for yourself!) Is there a club that really needs it? Do you have an idea for a campus-wide contest? Do you have a plan to use the giveaway to drum up some media attention or raise money for a worthy cause? You don’t have to live in the United States to win. To select the winner, I will start randomly selecting entries to read. The first proposal that I come across that I consider to be “really cool” will win the prize. The definition of “really cool” is left to my discretion, but my threshold will be really high. Please don’t bother entering if you’re a not a student or if you know me — in both cases you won’t win. For more details and rules on the contest at Student Hacks head here. Today 3 more sites have brought their contest online to help spread the Magic as part of the HP Magic Giveaway contest. Here's the important part though: part of this contest is sharing the magic, so this contest is all about you giving away part of what you win. So here's the deal: I'm going to numerically pull one random post here as the winner, but when I review that entry, if it doesn't meet the qualifications, another random entry will be selected. So what are the qualifications? Telling me how you'd share this prize pack, with whom, and why. With this bundle consisting of four computers, three of them laptops, it's really more than one person needs - and in these troubled economic times, there are going to be people around you, charities, schools, etc. that could put some of this hardware and software to good use, right? So if you won this $6000 prize pack, who would you give some of the hardware to, and how would they use it? I'll be looking for a detailed explanation of how you'd share this, but the requirement is only that you give away at least one of the laptops or the desktop computers. As long as you meet the requirement of giving away one of the computers, your entry is valid. Some other basic rules: only one post per person is allowed, and if you don't see your post appear right away, give it up to 48 hours because if it's your first post, it's probably held in moderation. Anyone in the world can win this contest. All posts have to be submitted by midnight mountain time on the 17th of December. If you're selected as the winner, I'll be contacting you via email and private forum messaging. You'll have 24 hours to respond to claim your prize, or the next person will be selected. No whining allowed. The prizes will be shipped to you directly by HP, so if you're selected as the winner, you should provide me with your shipping address and the shipping address or addresses of the people you're going to share this prize with. If you live in the USA, you will be provided with funds to cover the taxes on this prize bundle. If you have any more questions, please ask them in the original thread. And here's another important point: I'm going to be posting a YouTube video, likely on Sunday or Monday, and when you subscribe to our YouTube channel and also post your story to that video (you may need to shorten it to fit), you'll recieve a bonus entry. I apologize for not having it up yet, but I have a bad cold at the moment and I'm hoping in a couple of days it will go away enough for me to record the video. When the video is live, I'll update this post, and make a new post on the home page as well. For more details and rules on Jason’s contest at Digital Home Thoughts head here. The theme of this competition is a giveaway in the spirit of the holidays and my idea for a competition stems around awarding others for making great posts. The regular members and the more astute among you will have noticed that I have been fiddling with the reputation system for the last few days. This system is something that came with vBulletin 3.x several years ago and we have never really had a serious use for it... until now. The site has two numbers to do with reputation: reputation and power. The first is your total amount of reputation recieved and power is the amount of reputation that you can give others. The last two are important for keeping things fair and will only allow a single person to give reputation 20 times a day while ensuring that 15 people must recieve reputation before the first can again from that particular person. How do you get reputation? By making great posts here on the forums. This can be funny posts, answering technical questions or posting anything interesting. What defines you receiving reputation is down to each member who will be giving it. Sadly this doesn’t leave a winning path for getting an OSNN tattoo on your leg or at least not directly, although I suspect such a post would gain reputation for the novelty. I also believe the best way of getting reputation is not begging for it so keep that in mind! How do you give reputation? Simply click on the star to the left of each post and you can leave reputation (which is a total of your power at the time) as well as a little bit of feedback. To enter the competition you obviously have to have agreed to the points made in this post, so to ensure you do I have created an additional step you must follow to say you want to be part of the competition. For more details and rules on the contest at OSSN.net head here. We’re looking for a winner who’s generous and thoughtful in how they distribute the prize. That doesn’t mean you have to give everything away - it comes down to who you choose to give to, and your reasons behind it. To enter, register on the SlashGear forum and reply to this post confirming you’re taking part: that logs your IP, to make sure people only enter once. Then email your entry to hpmagic@slashgear.com, making sure to give a link to your forum reply so we know who’s who. Entries must be submitted by midnight central time on December 17th, and HP have agreed to pay for worldwide shipping so you don’t need to be in the US to take part. Full rules are below, and remember the forum post to comment in is here. Good luck! For more details and rules on the contest over at SlashGear head here. 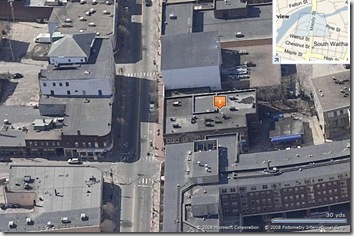 Next Wednesday we will not be having our monthly meeting at the Microsoft building in Waltham. Instead we will have a friendly get-together over some great food and drinks at Bison County BBQ Bar & Grill from 6PM-8:30PM on December 17, 2007 . Food and drinks will be each person’s own responsibility - so eat and drink as much as you can afford. Be sure to check out the menu before you get there. Today four more sites and blogs have started their contests in the the HP Magic Giveaway contest. Are you ready for some more chances to win and spread some magic? Here it is finally, the official list of which described to compete in the contest of the Magic of Christmas with HP and eliax. They notice that the offerers whom they have but of a number in the list are because they completed an additional task, like this. They notice that no longer shipments of the Task are accepted but #1, nor to enter the contest. If your name does not appear in the list it is because you did not send your request before the stipulated date, or because your request did not fill the necessary requirements, or because you did not follow the instructions well when to send the required information. They notice that it is possible that arises another task but from now until when we publish the winners day 17 of this month, so they are kind. Also they are kind to but the news on the contest in the course of these days, including but engineering data of the prizes, as well as details on as the winners choose themselves. Meanwhile the important thing that they know is that the number (or numbers) next to your name, is your number of lottery, and if it leaves that number you gain the prize of that drawing. As we mentioned previously, there will be 6 drawings, reason why the possibilities that you win are quite good (approximately one of each 300, or one of each 150 for which they completed the task #1). - 1.222 people are competing. - 612 completed the first task successful. - Therefore we have 1.834 numbers in game. - The offerers represent 27 countries. - There are offerers of until India and Indonesia! - Peculiarly, in daily visits to eliax.com, Dominican Republic it is third party behind Spain and Mexico, and nevertheless in this contest they are those that but are participating! Luck and we followed in contact! For more details on their contest in its native form head here. It is why the spirit of this contest has like final mission that the person who wins demonstrates her solidarity and shares with they need which it, or a friend, a aid organization, a hospital, in short, always we will find somebody to whom to help and is in you following the spirit of this promotion and contest. We would like that the one that gains the contest shares some PC and all must be conscientious of which a person is not going to use all the computers and donating one or several of them they can help to whom they need if it. As or I said in the previous paragraph, a aid organization, a hospital, a friend, a club, in short, all we have near which needs aid and the winner will have the gift to make happy to one or several people. I clarify to them that they do not have any obligation to do it, but remember that the spirit of this promotion is to help others, to have the power that us dá a prize of this type to be able to make happy to others. They remember, is not obligation! but it would be a good action from the winner! In addition, they will see that the desición to donate a PC or several, will give more possibilities them of gaining the prize. 1) In order to participate in the contest they will have to send a digital photography in which you with the logo appear of GeeksRoom and the one of the Sponsors, along with the legend in Spanish” I want to share the Magic” or in English “I want to share the Magic”. They are Creative, but they do not use Photoshop (only for some adjustment of color, brightness, it contrasts, but it does not stop to add other elements to him). According to its creativity and according to my criterion, they are possible to be won up to 5 entrances (numbers) extra for the drawing! The logos and the legend must be well visible! and the 150 photographies do not have to exceed Kb (they keep the original ones). 2) Also they must answer 3 questions: A) In which country I was born (it begins with A and it finishes with A), B) in which alive country (if they do not know it to this height, says Cowboy to me) and C) that marks of laptop I have bought the past week. The first two are easiest and third it is very obvious. 4) If they decide to donate 2 or but PC's receives 5 additional entrances, that is 6 possibilities of gaining the contest. They remember to enclose the photo! If receipt incompletos data or lacks data and/or requirements, will be disqualified and they will not participate in the drawing. 6) To each one of the entrances arrival of the email will be assigned to him to a number by order. The same will be the one of the row that occupies in the Excel list which I will take with the object of organizing the contest. The extra entrances, if to correspond, they were assigned in correlative form. 7) The winner will determine itself by means of the use of the procedure Sequence Generator of the Random.org site. Tell us what you are doing to make an impact on the lives of others. It doesn’t have to be a Save-The-World kind of story. I just wrote about an ordinary refrigerator that helped me and many others. But saving the world is not off the table, either. Brian Carter will tell you all about One Day for Human Rights today… if you have a minute. Tell us what you are planning to do with all this great hardware. I mean, there’s A LOT of hardware. More than one person could possibly ever need. How could all of these gadgets impact the lives of others that you know? How could these gadgets help you in personally inspiring or empowering others? For the rest of the rules and details on Sugar’s contest head here. First and foremost, I need to tell you this: while our giveaway is based on a random chance, I want you guys to understand the reason our site decided to participate in such an amazing giveaway. I’ve been blogging all this week about the reasons we are so grateful this holiday season. I will continue to do so throughout the rest of this week. FireDad and I have recognized how truly blessed we have been in the past few years. We have two healthy, happy children. We have a house. We are having a Christmas of our own. We are in love with one another and with our family. We are so blessed. And as such, we want to share that feeling with your family. But we don’t want that feeling to stop there. We know that we wouldn’t be as blessed as we are if people wouldn’t have taken time to share things with us along the way. The table my parents gave to us when we got our first apartment. The meals the ladies of the church brought to us after LittleBrother was born and I didn’t have enough time to shower let alone cook a healthy meal. The leads for freelancing jobs that others have shared with me because they felt that I would be best suited. The friendship others have extended to us over the years. Without those little bits of sharing, we wouldn’t quite be the family that we are today. And that’s why we believe so intently in the true meaning behind this contest: sharing the magic. While we can’t demand that our winner share the package with anyone, we’d really like to promote that idea. I won’t tell you who and how to share but I will delete all entries that say, “Gimme gimme.” I reserve the right to do so! All that said: I’ll need you to visit the whole list of rules for the giveaway, of course, but here’s the rundown on how to enter! 1. Leave a comment on this post explaining what winning this package would mean to you and your family in these tough economic times and how your sharing of this package would contribute to the true meaning of the season. This counts as one entry. You may only leave one entry in this fashion. IP addresses are recorded. Obvious spoof IPs will be disqualified. 2. Tweet this contest with this tinyurl ( http://tinyurl.com/sdbgiveaway1 ) and the hashtag #SDBGiveaway. You may tweet up to twice per day. Come back to this post and paste the URL of each individual tweet you post. (I will check every single one at the end of the contest so do not delete.) Each tweet, up to two per day, will count as one entry. (How to get the URL of each individual tweet? Click on the “time” that your tweet was entered. It follows your actual tweet. “3 minutes ago” is an example.) And, not necessary, but feel free to add me on twitter. I’m FireMom! 3. Digg, Stumble or otherwise promote this contest via some form of social media (other than the twitter entry above). Come back to this post and paste the URL of each individual promotion along with your username in case things get confusing. Each promotion will count as one entry. One promotion per social media site. 4. Blog about this contest on your public blog telling your readers a longer version of the comment you left in entry option #1. Meaning: Blog about what this contest means to you and your family this year and how sharing it would impact friends and family. Include a link back to this post. Please come back this post to post the link to your permalinked post just in case my blog doesn’t pick up your track back. You are allowed to do this once and it will count as one entry. For the rest of the rules and details on this contest head here. 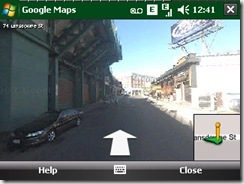 One of the coolest applications for you phone is Google Maps, which works with and without a GPS based on cell tower approximation. Not only can you get traffic directions, but you can also get transit directions, phone numbers and addresses for local businesses. Google has just updated Google Maps for mobile and it now includes Street View imagery at each turn when you are driving or walking. Street View is currently available for BlackBerry and some Java-enabled phones. Watch the video to see a demo of it in action. 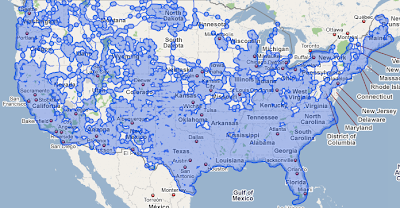 Today marks our biggest launch of Street View imagery to date: we're doubling our coverage in the United States. Several states — Maine, West Virginia, North Dakota, and South Dakota — will be getting the Street View treatment for the first time. We've also added imagery for Memphis, Charleston (SC), and Birmingham, and we've filled in lots of gaps across the country. 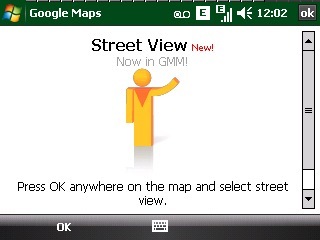 Be sure to visit m.google.com/maps on your phone or head to Google here to download. 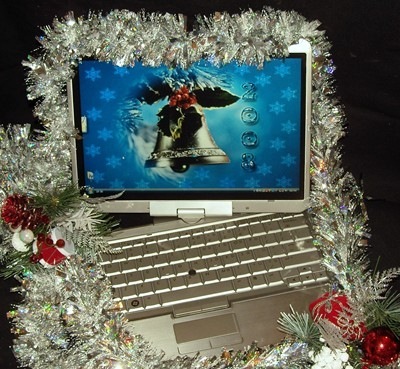 If you are like me and still have no idea what to tell your loved ones what you like for the holidays or still haven’t made up you mind on some new technology Linda over at TabletPC2 has come up with her annual The 2008 List for Santa - Sixth Annual Holiday Gift Guide. It’s chock full some of the latest gear, definitely worth checking out! Today there are three more ways to win and spread the magic of giving in the HP Magic Giveaway contest. Some people may consider 13 unlucky, but it will be lucky for 3 individuals. Still no information yet, but you can get a start by registering here. So here’s what I’m going to do. I’m going to ask you to tell me what you would do with this prize package. And I’m going to encourage your to share at least some of the love by giving one or more of the computers to a friend, family member, or colleague who could really use it or by choosing a charity, non-profit, or other group that you think should receive one or more of the PCs. The contest is open to anyone in the world (fortunately the sponsors are picking up the tab for shipping costs), and we’ll ship the prize package both to the winner and to whatever second site that person choses. You can find the complete rules for the contest after the break. OK, so here’s how to enter. Register for an account in the Liliputing Forums. (If you already have an account you can skip this step). Write a post in the HP Magic Giveaway thread explaining what you would do with the prize package. Whether you have a sob story, a funny story, or just a story to tell, let us know why you want to win and how you’ll use the prize package. Make sure to let us know if yo uplan to give away a portion of the prize. That’s it. Becoming an active participant in the forums will make me like you more, but I’m not going to assign a point value to the number of posts you leave, because I don’t want to encourage lots of mindless posts in the forums. there’s a great community of netbook and mobile computing enthusiasts hanging out at the forums though, and I’d encourage you to participate or at least read some of the interesting discussions thave have been taking place in the forums over the last few months. Please read the instructions. Entries must be submitted in the Liliputing Forums. I will delete any entries posted in the comments. Please use the comments to ask questions, or, you know… leave comments. For the rest of the details and rules head here. Only one entry per household is permitted. Examine the Award Package carefully, and determine which of the hardware and software items you wish to keep for personal use or gift to a member of your immediate family. Record a Seesmic video, including the script provided by SDRNews, where you personally describe, with your face on camer. Insure that the scene is well lit and that you have good audio. Your first name, city, state and country. Fill out the application at SDRNews including your full name, contact information, embed posting date, and Seesmic embed code. We all can use a little magic in our lives and when you have a little magic, it’s always good to spread it around. Well today you have another chance to do just that in the HP Magic Giveaway contest, but today there is only one site starting theirs. Tell me your best finals story. What’s the craziest, funniest, most poignant, most surprising, shocking or just plain interesting thing that happened to you during this week that we all look forward to with equal anticipation and dread? I will then share some the best ones (winner or no) on the site at the end of the contest. This can be the time the guy next to you fainted in the middle of an exam, you aced a test because of a fact you heard on Jeopardy, or the time your computer crashed while on the last paragraph of your paper. If you do write about some computer crash story it had better be good. We’ve all heard a ton of those. Keep it fairly short (2-3 paragraphs). You must make a meaningful comment on at least one blog in the directory. Maybe there’s one from your alma mater or your school’s rival. Maybe someone just has a cool title. This shouldn’t be hard, but it can’t just be “I agree” or “Cool story.” A substantial contribution to the conversation. You might just find a blog you want to keep following. Send me the link to the post(s) you commented on. Tell me about the college student or high school senior who is about to go off to college who you would like to share at least one of these computers with. This can be someone who needs a newer computer to compete in their discipline, someone who can’t afford a computer at all and spends his days resuscitating puppies, someone with a physical addiction to World of Warcraft, whatever. Just make it thoughtful and meaningful. I don’t want to hear sob stories though. I sympathize with what your best friend is going through, but I’d rather hear about how they are a good person and would do good things than the string of tragedy following them. Besides, it’s easy to fake a sob story. No begging. Stay positive. Again, keep it relatively short. Email your entry to studentblogs@gmail.com with the subject: HP Magic. You must get the subject right as I will be filtering these. Oh, and the final rule: no whiners. I will then choose 10 or 20 great stories and great people (depending on the number of entries) and let random.org do the final selection. All decisions are final. I will not be listing the final group, only the one winner. I do realize that people could just make up stories and people, but I trust that you are aren’t huge turds who would do such a thing. Think of the children. So three things: 1) Sweet finals story, 2) link to comment on student blogger’s post, and 3) who you want to share it with. Entries must be in by Sunday, December 14th. As with the last contest, my friends and family may not enter, but they can certainly do so on the other 49 sites. Good luck and I look foward to reading your great stories! Full details, including info on shipping and taxes, will be available on the HP Magic Giveaway page above. For more details and all the nitty gritty details on this contest head here. Again there are some contests ending today, so get your entries in now so be sure to check out all the 50 sites participating in the HP Magic Giveaway at HP's Magic Giveaway site. Good luck entering the contests for today as well as entering the other contest from AbsoluteVista, DigitalMediaPhile, PlanetX64, InfoWester, Merlot Mom, Noticias Tech,TechMamas,Geek.com, Notebooks.com, TechieDiva One Day, One Job, Gear Diary, Geeks to go, Geeks!, Carlos Alberto,Down to Earth Momma, La Bitácora de Erwin Ried,and Moosh in Indy. For most influencer's, scheduling times at CES is often a difficult process because you end up traveling from one end to the other of CES as well as those appointments that are on the strip at all the hotels. The travel time alone limits us to the number of folks we can visit and often times an appointment is missed because of the difficulty of getting from one place to another. Because of that, I would try to see as many companies as I can at CNTRSTG. CNTRSTG came about because a group of high ranking influencer's had so much difficulty meeting with a large group of companies. Their idea has been well received and has companies like HP, AMD, Skooba and ProClip to name a few that are taking advantage of it. Imagine, rather than a company meeting 20-30 times in a day giving the same briefing, having the ability to meet with a group of influencer's and present once or twice. Novel idea, huh? It saves those giving the presentation the repetition of doing it 20-30 times a day and for the influencer's, they have just one place to go. In the final analysis, the influencer's will not be run down, tired and annoyed trying to get to a half dozen places all over the strip. They will be fresh, relaxed and more apt to be more receptive to really listening to the ideas presented to them and then writing good solid news items. CntrStg the place to be. Today there are 3 sites participating in the HP Magic Giveaway contest, each site has their own rules so read them carefully and good luck! My contest is open to all inhabitants of this planet, known severally as Earth or Terra or Sol-3. Please be advised that we tend to favor sapient inhabitants. However, if a troglodyte’s entry is the best, then we have no choice…. Create a short animation describing the HP Magic Giveaway, and the good it will bring to you, and a few lucky persons/organizations you so decide to re-gift to this Christmas. An acknowledgement of HP and Microsoft for this giveaway immediately attaches mondo points to your score. Working in a group of more than one, letting us know that there will be more than one enjoyer of this giveaway is a boon. Gratuitously praising me may or may not work. Staying on points 1 & 2 matter more than anything else. Be prepared to assign certain usage rights to me, and by proxy, AbsoluteVista.com and all our related websites, including but not limited to SmallBizVista.com, and this website, SmallBizWindows.com. My statement of the assigned rights can be found here, and the assignment of these rights are non-revocable. Your submission of your original content will be taken as agreeing with that assignment of rights statement. If you are an immediate member of my extended family, sorry, you are immediately DQ’d. for you can certainly afford a system. I am going to attempt to review as many of the giveaway items s possible. However, since I want the winner(s) to have their winnings by Christmas day, I will be mindful of the time constraints imposed on shipping, and make sure that the systems are shipped in time for enjoyment of that day. The contest starts at 12.00 am on December 8, 2008. I will receive submissions until 12.01 am on December 14, 2008, and I will make my decision on the winner before 11.59 pm on the same day. Oh, my decision is final. For the rest of John’s contest details head here, for an update of the rules head here. I’m holding my Magic Giveaway Contest as a WIN AND SHARE THE MAGIC CONTEST. You’ve probably heard the phrase “random act of kindness”. Well, during this holiday season, I’m hoping that some lucky winner will be able to perform “deliberate acts of kindness”. My contest starts today, December 8th. You have until Friday, December 12th at 6pm Eastern Time US to submit your entry. Second, you need to post some images on FLICKR or a Video/slide show on YouTube. (And only on those sites) showing the places these new computers will go or a shot of the computers they are replacing (and if you replace a computer, please give THAT to someone who needs it). Third, after you post your digital entry, send an email to magicgiveaway@gmail.com with a link to the location where you’ve posted this (full URL, no tiny URL or shortcuts allowed) and the subject: I want to share the magic. In addition to placing the link to your content as the first line of the message, please describe in 150 words or less who you want to gift and why. I don’t want to read sob stories. If you don’t use the correct subject or write a novel, you will be disqualified. Be sure to send your email from an address that you check often for incoming mail and add magicgiveaway@gmail.com to your safe/approved senders list so that if you win, you won’t miss the notification. Fourth, by entering, the winner agrees to provide me, within two weeks of receipt of the prize, at least a 500 word postable story on what happened when they gifted computers. Pictures optional, but would be great to have along with permission to post. I won’t post names without permission or any other information. The winner agrees to allow me to use the content they provide in any manner I choose. Fifth, winners must provide a bona fide shipping address and not a post office box. Sixth, the winner agrees, by entering my contest, to allow me to contact their local newspaper/TV station, etc. and ask if they are interested in running a story on the winner and the magic sharing of the holiday season. You’ll get the admiration of your peers and some local recognition. It would be great if, after the winner is notified, that they provide any info they can on contacting local media in their home town. Seventh , I will pick a 1st, 2nd, and 3rd place entry. I will notify the 1st place winner via email and they will have 12 hours to respond. If no response is received, I will notify the next in line, who will have 12 hours (etc.). I won’t post info until the winner has accepted. Here is a hint: if you enter my contest, you should check your email every few hours starting on Saturday December 13 so that you don’t miss THE BIG NOTIFICATION. For more on Barb’s contest and rules head here. Sign up to Animoto (free) and create a 30-second slideshow using your pictures and their holiday music showing the magic of giving - pictures of you and the other person(s) you would like to share the prize bounty with. Post your video to YouTube (free too). Go to PlanetAMD64 and post a link to your video in the "HP Magic Giveaway Begins Now" thread on the home page (requires free membership as well) and include your story (doesn't have to be a novel). 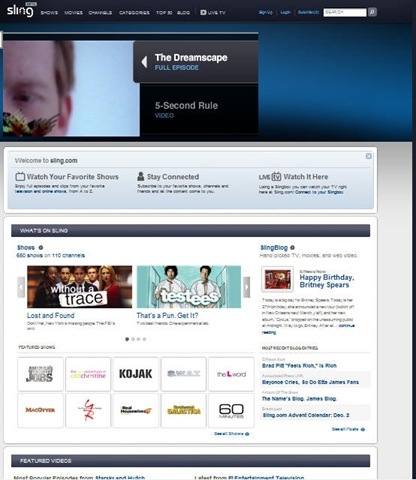 The contest period runs from December 8, 2008 0000 EST to December 13, 2008 2359 EST. The winner will be announced on December 14, 2008 at 1500 EST over at Echenique dot com. Remember, the HP Magic Giveaway Rules require that you share your prize with someone deserving. The Magic is in the Giving. Read the rest of Carlos’ rules and enter his contest by clicking here. Remember some contests are ending, so get your entries in now so be sure to check out all the 50 sites participating in the HP Magic Giveaway at HP's Magic Giveaway site. Good luck entering the contests for today as well as entering the other contest from InfoWester, Merlot Mom, Noticias Tech,TechMamas,Geek.com, Notebooks.com, TechieDiva One Day, One Job, Gear Diary, Geeks to go, Geeks!, Carlos Alberto,Down to Earth Momma, La Bitácora de Erwin Ried,and Moosh in Indy. My blogger friends ARE eligible. Regretfully family members and IRL friends (in real life for non-bloggers) are NOT eligible for MY contest. BUT you ARE eligible to enter ALL the other HP Magic Giveaway contests. 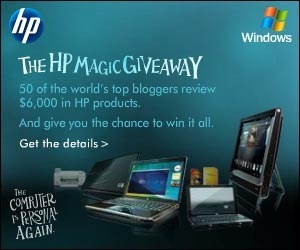 See my HP posts or HP MAGIC GIVEAWAY's home page for participating sites. Winners of other HP Magic Giveaway contests are NOT eligible. You must have a legitimate shipping address. P.O. Box addresses will NOT be accepted. Make your case! 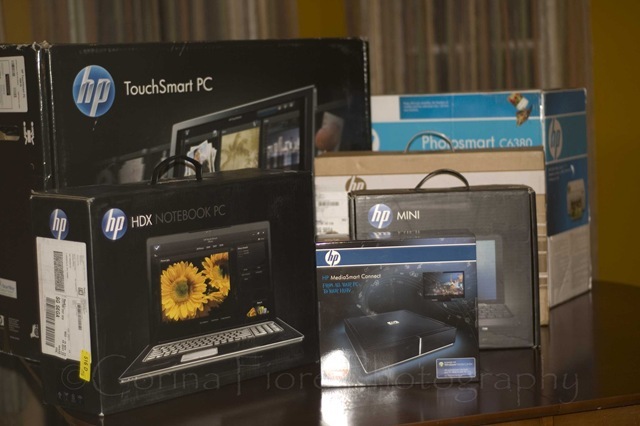 Tell me why you deserve to win $6000 worth of HP and Microsoft products. How will you put the equipment to good use? Who will you share it with and why? The contest is about the spirit of giving so I ask that you illustrate for me, either in words (250 words or less) OR on video (4 minutes or less) how you will make the most out of this charitable opportunity. It can be for a friend in need, an organization such as a hospital, a residence home, a school. Your choice. Tell me what it will mean to you to have them share in your good fortune. WOW ME. Include a link in your entry to HP Magic Giveaway's home page and to this post on www.merlotmom.com. Post your entry on your blog, on Facebook, on YouTube, or in my comment section. If you have posted your entry anywhere other than my comment section, please leave a comment with a link to the site of your entry, your name, and a valid email address so I can contact you. For the rules and more details on this contest head over to Merlot Mom here. When I found out that I was part of the 50 bloggers participating in the HP Magic Giveaway, I did not sleep too well for the next few nights. I had the chance to give away (US) $6,000 in amazing hardware, accessories and software that could really make a difference in someone's life (or a group ). I had so many ideas, so many people I want to share some magic with. Schools(teachers), charities, families and especially moms (parents) that all give so much on a daily basis. Then I saw the CNN Heroes show and was inspired. So I decided I wanted to award my prize package to a "MOM or DAD hero". You can nominate yourself or someone else. I prefer that (like many of us) that you can't afford to buy all of this amazing equipment on your own. You need to have a powerful use for that technology, that will not only help yourself and your family but a school or charity as well. School and charity are used in loose terms. You can be a mom that works for an underprivileged afterschool program that wants to share some of the package with the program and some at her home to develop curriculum. You can be a mom or dad that runs a charity that needs technology to take it to the next level or is trying to get their career back on track - and looking to help others as well. To enter, just comment on this post with links to as many different types of media you want to use to tell you story, or just a text comment. Please be "for real", there are people that really need this! I request (not require) that you "share" the magic by giving part of your package away to the school or charity that is part of your "story"
The contest will run from December 7 - December 13. Winner announced on December 14. For the rest of the details and rules on Beth’s contest head here. Reminder some contests are ending, so get your entries in now so be sure to check out all the 50 sites participating in the HP Magic Giveaway at HP's Magic Giveaway site. Good luck entering the contests for today as well as entering the other contest from Geek.com, Notebooks.com, TechieDiva One Day, One Job, Gear Diary, Geeks to go, Geeks!, Carlos Alberto,Down to Earth Momma, La Bitácora de Erwin Ried, Moosh in Indy, GottaBeMobile, I Started Something, The Gadgeteer. Wow!!! All I can say is that we are really impressed by the open hearts and amount of giving people are willing to do especially in these tough economic times. Many entries were to give away the entire prize if they won. We at Boston Pocket PC feel really honored and privileged to be part of the 50 participating sites with the help from HP, Microsoft and Buzz Corps, looking to spread some magic to change people's lives for the better in the HP Magic Giveaway. We are also glad that we didn't have to pick a winner (because it would have been too hard) and chose to go with a random drawing from all the eligible winners. Our winner is Evan Brammer. I have the privilege of working for a fantastic education organization in Indonesia that builds high-quality international schools for the wealthier Indonesians and then uses that money to benefit the less fortunate. These are referred as "pelita" schools. I teach at Sekolah Pelita Harapan in Lippo Cikarang. My wife and two kids moved with me here half a year ago from the States to be a part of this great work. What is great about what the Foundation does is that they take the money they "make" from the higher level "pelita" schools to then build two other types of schools: "dian" schools for the middle class (these schools break even as far as funding goes) and then "lentara" schools (where all of there funding comes from outside sources because the students families are unable to pay for an education). The mission of the Foundation is to build ten pelita schools, one hundred dian schools, and one thousand lentara village schools. What is great about the lentara schools are they are completely free to the students, most of which would have no opportunity for an education. They are in Indonesian villages and while they are staffed with high quality Indonesian teachers, they still have very limited access to quality resources. That is where the magic begins. What I would do with with the HP Magic Giveaway computers is to help every level of the schools that I mentioned to give them better opportunities at a world class education. First, I would set up the Touchsmart in my classroom, giving my students (the future leaders of this burgeoning nation) a jumpstart into 21st century learning; helping them to not only be content consumers, but more importantly content producers. 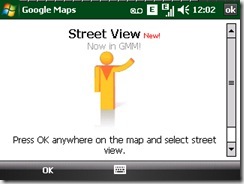 We would use it to create dynamic kml tours for Google Earth for geography and blogging for English. We could then use those and many more resources that the students and teachers create to pass down to both the dian and lentara village schools. We (my class) would donate one of the laptops to a nearby (or faraway) lentara village school so that the teachers and students from both my school and the lentara school can exchange ideas, lessons, and friendships. This would greatly benefit both parties as the lentara schools would have better access to content and the pelita students would be able to have a greater knowledge of a constituency here in Indonesia that all too often is forgotten: the village poor. For the remaining computers (and Kung-Fu Panda), they would most likely be used as tools in one of the three levels of schools. I can see the Mini 1000 being used as a field computer to gather data from the eco-garden that we are trying to build. The other laptop could be used as a mobile training computer, used to train both dian and lentara staff in new methodology. Truly, the opportunities in education would be endless. Thank you for even giving us the opportunity to compete. Congratulations Evan! We look forward to hearing howthose touched by your magic of winning made out. Don’t forget to to check out all the 50 sites participating in the HP Magic Giveaway at HP's Magic Giveaway site and check back here for other chances from other sites when their contest goes live. Now is your turn to register for a chance to win all of that gear. Just fill out our survey and make sure to include your e-mail address at the end so we can contact you if you win. You can enter any time between December 6th (today) and December 12th. Each person is allowed to enter the contest once. For more details on Sal and Joel’s contest at Geek.com head here. Today we’re kicking off our HP Magic Giveaway contest and hope you’ll help spread the Magic in the spirit of the holidays. As of right now you can enter the contest and win a prize package that includes $6,000 worth HP and Microsoft gear. There are a variety of ways you may enter the contest, all of which are free and open to anyone in the world as long as participating in a giveaway like this is legal in your locale. We thought a lot about how we would pick a winner and decided we wanted to leave it up to chance, but allow our readers to improve their chances by completing a variety of tasks. This means you may enter an unlimited number of times if you reallllllllyyyyyy want to win four computers and the rest of the gear for yourself, your family or your organization. The more tasks you complete, the more entry points you earn. Think of it like raffle tickets, but instead of buying tickets you jut need to participate in the below tasks. In the spirit of the holiday season you can earn a significant number of points by sharing some or all of the prizes with the school(s)/non-profit(s) of your choice. You don’t HAVE to designate any of the prize package to go to school(s)/non-profits, but you certainly increase your chances of winning by doing so. You can spend as little as 10 seconds entering this contest by subscribing to our email newsletter, or countless hours. It’s all up to you. You may only complete one of the following tasks. You’ll earn a significant amount of entries and get a chance to help those in need. This is the easiest/fastest way to earn a lot of entry points, but you have to be the giving type. If you want to keep the entire package for yourself you can skip this section and start at the next section of tasks. Write an article about this giveaway on your own blog, or appropriate web site and include the phrase “Notebooks.com’s Magic Giveaway with HP and Microsoft” so we can find it easily. Link back to this post and to http://www.hp.com/united-states/campaigns/blogger-magic/ . You’ll have to post a link to the article in our forums. (2 entry points). Tweet the following phrase: “I entered Notebooks.com’s HP Magic Giveaway: $6,000 worth of HP computers and Microsoft software! http://tinyurl.com/5t2z5s” (2 entry points). Tell us who you’ll share the prize package with, what you’ll give them and why in the forums. (1 entry point). C. You may earn an UNLIMITED number of entries by completing the following tasks as many times as you wish. Help build the brand spanking new Notebooks.com Wiki. For more and Xavier’s contest and rules head to Notebooks.com. It’s all about sharing the magic this holiday season, so we highly encourage you to enter this contest with the intent of sharing your prize with someone you care about, be it a relative, a friend, or a charity. We’d love for you to help us spread the word about this contest on your personal blog or social network to let others know how they too can enter this amazing contest. For this reason, we ask that you write a short paragraph or bulletin on your personal blog, social profile, microblog, or favorite forum telling us what you would do with all those computers if you won the contest. We don’t want you to spam anyone though, so make sure you only post your entry on your own blog/social profile. 1. A link back to Techie Diva and a link back to the HP Magic Giveaway page. 2. A short paragraph, telling us why you deserve to win this prize and what you plan to do with it. Would you be selling it on eBay? Sharing it with your family? Start a business? Donate part of it to a charity? Or keeping it all to yourself? We will be choosing the winner at random so there is no wrong or right answer; BUT the best stories reflecting the spirit of giving this holiday season will be published on Techie Diva and receive an additional entry. This means your name is entered in the contest twice! This is your opportunity to increase your chances of winning this package. Do any of the following, and get THREE additional entries. We ask that you send bonus entries to hpbonus@techiediva.com and include your name, phone number, and email address. Make sure you write in the subject line the type of bonus entry you’re submitting (Charity, YouTube, Bake Off, Video Review). You still have to submit a blog post entry to enter. Make sure you use the same email address since we will verify both entries this way. 1. Encourage a charity, school, or church to enter this contest. Have them send us your name and email address in a separate email to hpbonus@techiediva.com.Your entries depend on it. 2. Create a YouTube video or a Web Cam comment below telling us how you would share the magic if you won this package. We highly encourage charities/schools/ministries do this. 3. Bake a cake/cupcake with the Techie Diva avatar/logo. 4. Create a one to two minute video review of your favorite gadget or HP product for Techie Diva. 5. Link back to this post on five or more social networks (ex: Facebook, Twitter, MySpace, Flickr, Bebo). Send all links in one email to the address above. These all have to be your own accounts. Links in comments section don’t qualify. Please include a blurb of the contest in your post. 1. Short paragraph mentioned above along with a link to your blog post entry. For more details on this contest and rules head to TechieDiva here. Again as before, today some contests are ending so get your entries in now so be sure to check out all the 50 sites participating in the HP Magic Giveaway at HP's Magic Giveaway site. Good luck entering the contests for today as well as entering the other contest from One Day, One Job, Gear Diary, Geeks to go, Geeks!, Carlos Alberto,Down to Earth Momma, La Bitácora de Erwin Ried, Moosh in Indy, GottaBeMobile, I Started Something, The Gadgeteer, Hack College. Some contests ended yesterday (remember you have until midnight EST tonight to enter ours) of the HP Magic Giveaway Contest where you have a chance from 50 different websites and blogs to win over $6000 in gear and some are ending today. There are still many open so be sure to enter and not only win, but share what you have won with others! Today you have another chance to win and share over $6000 in gear. Last week, my business partner, Jason Seiden, and I were talking about the job search training course that we’re working on. I had told him that I recently received “thank you tweets” from two One Day, One Job readers who had landed jobs at companies that I wrote about. We both agreed that there’s nothing more rewarding than helping someone find and land a job. This sparked an idea. Since the HP Magic Giveaway is all about “paying it forward,” we should build a contest where the winner is rewarded for paying it forward (even if it’s with the end goal of winning a prize). Help a friend with his or her job search. Leave a comment on this post telling us your friend’s first name and exactly how you helped him or her. Your entry can be as simple as telling us that you e-mailed someone a link to One Day, One Job, or as involved as telling us how you edited and improved a friend’s resume. We’re looking for creativity and a genuine willingness to help (and ideas that we can use in the course that we’re developing), so we’re going to reward those of you who try harder. Entries will be graded on a scale of 0 (so unhelpful that you don’t even get an entry) to 10 (bending over backwards to get your friend a job), and each point will be equal to one entry in the contest. We don’t expect you to land someone a job in just a few days’ time - that’s nearly impossible (but if you can do it, go for it). We just want you to lend a helping hand to someone who can use it, whether you already have a job or you’re also looking. The average score will be a 1 or 2, so there will be a huge premium for in-depth/creative/bend over backwards entries. At the end of the contest, we’ll assign numbers to each entry and use Microsoft Excel’s random number generator to select a winner. Oh yeah, one more thing. Since you’ve already found a friend in need, you’ll be expected to give part of your prize package to the friend whom you helped, since without him or her, you wouldn’t have won. For the rest of the rules, check out the One Day, One Job site. Remember today some contests are ending so get your entries in now so be sure to check out all the 50 sites participating in the HP Magic Giveaway at HP's Magic Giveaway site. Good luck entering the contests for today as well as entering the other contest from Gear Diary, Geeks to go, Geeks!, Carlos Alberto,Down to Earth Momma, La Bitácora de Erwin Ried, Moosh in Indy, GottaBeMobile, I Started Something, The Gadgeteer, Hack College, here, Mediablab, Neowin, Morningside Mom, Thoughts on poetics & tech. Today is the last day to enter of some contests that started the HP Magic Giveaway Contest a little under a week ago, where you have a chance from 50 different websites and blogs to win over $6000 in gear. Today 3 more sites have started theirs. Now gather ’round and listen up: We want everyone who would like to enter to have a true shot at winning, so our contest will involve answering a series of questions and performing a few tasks. If you can follow directions, then you can win. Your reply in this thread’s comments section will be your entry, and the winner will be chosen at random from entrants who have answered the questions and fulfilled the tasks we set forth. For the sake of simplicity when judging, please put all of the requirements together in ONE entry / comment. First, you must register so that you can leave a comment on this site. If this is the first comment you have ever left, it will be moderated. Don’t freak out if it doesn’t post right away, and don’t leave a second comment; I will approve your entry / comment ASAP. 1. What is the best gift you have ever received from someone else. 2. What made the gift special? 3. Who would you share a portion of this prize package with, if you were to win? Next, complete the following tasks and include a link to the completion’s proof in your comment / entry. - Post a picture of your current desktop or laptop on Flickr (or your personal blog), and include a link back to that picture in your comment / entry. You do not need to be in the photo, but I’ll be even more impressed with your entry if you are. 1. We will be awarding everything to one person. 2. The winner is encouraged to spread the magic by sharing their prize. I am not going to tell you how to do it or with whom, but if you would like me to ship one or two of the prize items to someone anywhere in the world, I will be happy to do so…and HP’s covering it! 3. Anyone, anywhere in the world, is welcome to enter. HP will cover worldwide shipping and any associated US income taxes. 4. If you have already won one of the HP Magic Giveaways on another site, you are not eligible to win again on Gear Diary. 4. Winner will be chosen at random, by me; there will be no whining. If you don’t win here, keep trying on the other sites! 6. Put judie @ geardiary .com in your address book NOW. I will email the winner shortly after choosing one, and if I have not heard from him or her within 24 hours (I will post the time when the first email is sent), I will email the next person on my list. Don’t suffer remorse for the rest of the holidays and all of 2009 because your SPAM filter ate my email!!! 7. Winner agrees to send us a short follow-up post (300 words or less) with a picture within 30 days, so that we can post on how the hardware was distributed. If you don’t want your real name to be used, then it is quite all right. This is mainly so that people can see that a real person won, but sharing lovely stories about giving portions of the package to deserving people or organizations will definitely earn you some “awwww”s and kudos in the comments. We love happy endings; please be willing to share yours!! 8. The Gear Diary Team and past contributors are not eligible to win, neither are members of their families. Sorry guys and gals, it just wouldn’t look right. To find out more about Judie’s contest head here. At Geeks to Go we share the magic. Our tech experts provide free tech help in our forums. We share our technical knowledge with others in need. We get a magical feeling whenever we get a heartfelt thanks from someone we’ve been able to help. This prize package contains an embarrassment of riches. We’re going to ask our contest winner to share the feeling that comes from giving magic. To enter our contest, simply reply in the comments with what part of the prize package you’d share, and with whom you’d share it (no full names please). The winner will be drawn at random from the qualified entries. So, while there’s no need for a long entry, I and others may enjoy reading them. The holidays are a time for giving. Many organizations and individuals are in need. We recommend a donation to an organization, not an individual or relative, but the final decision is yours. If requested, we can mail your donation anywhere in the world. We also want to hear your story! If possible, take videos or photos of your recipient, along with a story of the donation. We’d like to publish it, and share your experience of giving magic. The winner will be drawn from qualified comments posted between December 04, 2008, and December 10, 2008 12PM (noon) CST. Our announcement will be posted shortly after noon (CST) on December 10, 2008 (subscribe to our RSS feed). The winner will also be notified via the email address they used to comment. If 24 hours goes by without a reply, a new winner will be chosen. This is an international competition. We will ship the prize package, including any donated portion to anyone worldwide (as permitted by US law). Staff members of this site (including GeekU), previous winners from other sites participating in this contest, and employees of HP, Microsoft, and BuzzCorps are not allowed to enter — bummer. Entries accepted as comments in this post only. Entries in any other areas of the site will not be counted. ONE entry per person. Those entering more than once will be disqualified (it’s easy to catch). Contest dates and times. Only comments submitted between 12:01am CDT Dec 04, 2008 and 12:00pm (noon) Dec 10, 2008. Geeks to Go is a family friendly site. Any submissions that break this rule will be disqualified, and removed. This is an international competition. As allowed by US law, everyone is allowed to enter. Not allowed to enter are Geeks to Go staff members, and GeekU members. Nor, employees of HP, Microsoft and Buzzcorps. Previous winners of other HP Magic contests can not win again. You must provide a valid email address with your comment. The winner will be notified using the email address provided. If no response to the notification email is received within 24 hours, a new winner will be chosen. A US winner will receive payment from HP, Microsoft and Buzzcorps to offset the tax liability. Geeks to Go reserves the right to change the rules of this contest as needed. For more details on Blair’s contest head here. Submit a how-to, what-is, or top-five article on ANY subject. The article must be at least 500 words long, with proper punctuation, grammar, usage, spelling. Remember your PUGS. Articles will not be accepted if they require editing, so have someone you trust proofread for you! Entries will be posted on my blog. Whichever post gets the most comments by December 10th at 10pm CST is the winner. Insipid, short, pointless comments will be deleted. Get people to comment on your article, but spamming will not be tolerated. Your article will be cross-linked with your Geeks account. For more details on Chris’ contest head here. Good luck entering the contests for today as well as entering the other contest from Carlos Alberto,Down to Earth Momma, La Bitácora de Erwin Ried, Moosh in Indy, GottaBeMobile, I Started Something, The Gadgeteer, Hack College, here, Mediablab, Neowin, Morningside Mom, Thoughts on poetics & tech, Bleeping Computer, Gear Live, and Windows Connected. Today you even have more chances to win over $6000+ in prizes not only for you, but share with ones you may find in need as part of the HP Magic Giveaway Contest. Note this is translated from Portuguese so it may not be exact for the full original contest head here. First everything I would like to be thankful the HP for supplying to these hardwares incredible. This type of equipment in U.S.A. already is expensive, here in Brazil then nor if it speaks. In according to place, he would like to be thankful Microsoft for the offered products and the aid in the campaign. E clearly, the organizadores of the event! They are of congratulations. searching blogs in Brazil to reach a different public. The prize will be delivers only for a winner. I will select only one to winner. This winner, following the spirit of magic of the Christmas, must share one or more products of the package with another person. This another person can be a friend, familiar, institution, etc. This does not matter, the important one is to share the package. We of the promotion cannot force the winner to make this, but we desire that this spirit of magic is kept. To winner will share the package with others like family, friends, charity. We can't forces to winner you of that but strongly encourage you of only. It's Xmas and we want you spread the Magic! The winner can be of any place of the world and he is not restricted only for Brazil. The organization of the event will go to sponsor the sending of the products and the winner will go to receive the prize in the door from its house! The contest it's open worldwide. - As mine blog is come back toward Microsoft technologies, you answer must me how many times I wrote the Microsoft word in mine blog, since my first post until post previous to the announcement of the promotion. That is, valley to count the words of post Nokia Connect USP until my first post that wears was the Devil prada. and you donate Unified Comms. It found that this was alone? Nãooo, senão went to be very easy! Not valley: Images (type soon of Microsoft or any product), link URL (www.microsoft.com not valley), heading of the topic or Tag of blog. Valley: command line (C:\Microsoft\test can), address web without link (microsoft.com valley), register entrance (HKLM \ SOFTWARE \ Microsoft… can), name of the product (Microsoft Exchange Server can), copied text of another place (Microsoft is trying you.). It uses this form to send the email correctly! Any email with lives than two lines with the answares will not be valid. Only please follow the rules. Each participant will go to receive a number from the email as soon as I to export the Box of Entrance to an Excel (that it will be the number of the line of Excel). Later I will go to select the winner of fortuitous form, using some site in the Internet that generates random numbers. After to select the winner I will go to select more two people, case the winner I do not answer my email. Each email will have to number when I export the Inbox you Excel sheet (to number will be the line to number of the Excel). Then I will select to winner at random using adds website like random.org. I will select three numbers. As soon as selected the winner, I will go to send an email for it requesting some personal datas, therefore they are intent to the email as soon as the promotion to finish. In case that the winner does not answer my email in 24 hours, I will go to send a placed email to as, and so on. I'll send the email you to winner. If he/she doesn't reply in 24 hours I'll moves on you the next to number I selected to earlier. The winner will have to send me an email counting on who it divided the prize and for which reasons. This is not obligator, but it would be very legal to publish here in the site this email. If to come with photos, better still! To winner will be asked you submit follow up email about how he/she split the package with others. Personal Pictures and experiences will be highly encouraged. The requested personal datas are Complete Nome, Complete Address (cannot be alone P.O. Boxes) and Telephone (therefore it is necessary for delivery confirmation). Its data will be safe with me, I will only go to postar in blog nick of the winner. I'll ask to winner about personal information you send the package. Real address ploughs required, in p.o boxes. 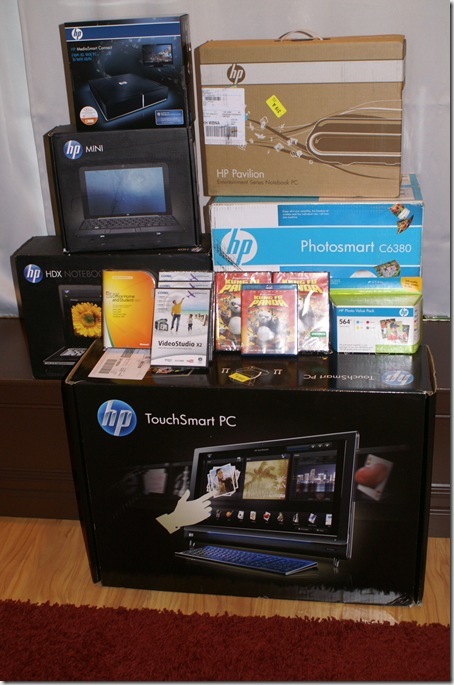 Who have won this prize at one of to other 49 blogger's websites involved in the HP Magic Giveaway will be disqualified. If you are my friend you forgive, me. Familiar friends and my cannot enter in this promotion. But they are the will to particiar of the others 49 promotions in the participant sites. If you're my friend I'm alone sorry but you cannot entry in my contest. But fell free you visit to other 49 blogger's site. The packages that the winner will go to receive can have been open (for me), therefore are part of the promotion I to analyze and to write one review of the product. I am tranquilo, I did not break nothing! Or adds boxes bags may have been opened you the write my review. Original Everything has of course been put back into its packaging. My decision will be final and it does not have to be contested. Final I will be the sole judge and my decision is. They will only be accepted e-mails until day 9 of December (09/12/2008). The deadline is Dec 9. Important OBS: not yet I received some boxes that estao stops in the Federal Prescription. The winner tera that to wait this release. We are making the possible one to speed the process. E after the arrival of the boxes I still will have that to make review of the product and alone then to send to the winner. PS: I don't have all the boxes yet but I'm working with BuzzCorp you find solution. This can causes adds delay you to winner. But HP, Buzzcorp and I can guarantee that to winner will receive all the package. How do you enter? I am so glad you asked. Please read carefully. I will be STRICT about these rules and your entry. I wouldn’t want you to be disqualified. Send an email with the subject “Share the Magic” to hpmagic@dtemama.com answering the following questions. You may have to do some digging, but hopefully you will find some content you enjoy. Please organize these in your email to make it easy to read. (Feel free to comment to other posts as you read as well. I like comments! Just remember, your answers must be sent to me via email.) DO NOT comment to this post with the answers. They will be deleted. 1.) What was the name of the preying mantis that made my birthday one to remember? 3.) Tell me one thing I consider myself good at. 4.) Where else do I write? 5.) How did I teach Sweetie not to throw sand? Below the answers to these five questions I want you to write in 100 words or less why you want this prize, with whom you plan to share it, and why. In other words, the answers to these questions and these 100 words or less must be in the same email. You must write this first email before you can enter a bonus entry. Bonus entries: Write on a message board or your blog a post about how you have or plan to make the world a bit better. Have you volunteered? Are you planning to? The goal is to inspire those reading it to action. Paste the link to the blog or message board in an email headed “My Magic Bonus Entry” and send it to hpmagic@dtemama.com. This email must be sent this from the same email address as your initial entry. This contest runs from midnight EST December 3, 2008 to 11:59 pm EST December 9th 2008. All entries MUST be received during this time frame. The winner will be chosen at random using random.org from all QUALIFIED entries. My decision is final. My friends and family are ineligible from entering, but are welcome to enter the other 49 HP Magic Giveaways that are running. The winner will receive an email upon winning the prize. That person will have 18 hours to respond to the email with a valid address (international readers are encouraged to enter) and phone number (needed for shipping purposes only…. I will not be calling you). I can not ship to a P.O. Box. If the person has not responded in 18 hours, I will move onto the next winner per list generated by random.org. I will repeat this as necessary. If you have won this prize per another HP Magic Giveaway site, you are ineligible from this giveaway. I am asking that the winner consider emailing me or blogging a story, photos (you know I LOVE photos), and/ or a video when you receive the goods. I want to share in your excitement. I am also asking the winner consider emailing me or blogging a story, photos, and/or video of the people whom you decided to share your winnings. I would LOVE to be a fly on the wall for that! If you would like assistance in setting up a news story on your gift, I can certainly assist with that. Good news and happy stories this time of year are always great for the news outlets. Consider sharing this one! There you have it! Go forth and enter. Share this with others so that they may enter too! I can’t wait to award this to one of you! Good luck! The text below is also translated, the original contest can be found here. To participate, you must answer the questions related to my site and write a sentence that links HP, Microsoft and my site. While this is a better phrase, you'll have even more chances of winning the lottery of Dec. 9. The questions will be true to filter to my readers less fanatical. Anyway I wish you good luck!. The best sentence would have a score that will be useful to further the draw. To receive the prize will be necessary to send a short video in which the sentence or say something entertaining. For more details on Casey’s contest head here. Remember tomorrow some contests are ending so get your entries in now so be sure to check out all the 50 sites participating in the HP Magic Giveaway at HP's Magic Giveaway site. Good luck entering the contests for today as well as entering the other contest from GottaBeMobile, I Started Something, The Gadgeteer, Hack College, here, Mediablab, Neowin, Morningside Mom, Thoughts on poetics & tech, Bleeping Computer, Gear Live, and Windows Connected. The folks at Sling have listened to their users and are proud to announce the public launch of Sling.com, an online video entertainment destination that could easily fill and your dependency on cable and satellite television providers. Users can go to Sling.com to watch a huge selection of clips, TV shows, films, news and sports in high quality, for free, anytime they want. This includes video programming from over 90 content providers spanning 150 content brands. Most of the content looks to come from a partnership with Hulu.com. “Sling.com is a wonderful combination of premium video content, television viewing, robust editorial and consumer-friendly access and socialization features,” said Jason Hirschhorn, President, Sling Media Entertainment Group. “Users will have a blast watching great clips, full length shows and movies while customizing the viewing experience to their liking." Robust editorial programming: Sling.com’s editorial team creates great content including blogs, playlists and clip collections. 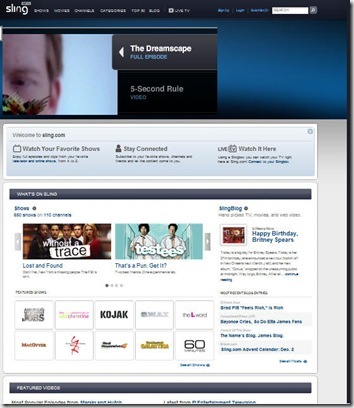 Socialization features: Users can subscribe to any channel, show or user to create a feed of programming and activity that reflects your personal tastes and those of your social network. Slingbox access: For the first time, Slingbox owners can now access and view their home television (cable, satellite receiver) and DVR via the Sling.com website, making their Slingboxes available without a software client download. Best of all if you have a mobile browser that supports Flash video like Skyfire, you can watch your favorite television shows and movies right on your phone on demand when the mood strikes you. Today on Day 5 of the HP Magic Giveaway Contest we again have 3 sites starting their contests today so you now have 3 more chances to win over $6000 worth of prizes for you and others you feel are in need of some new technology! GottaBeMobile.com, we believe that the true blessing in receiving is found in giving. With so many people and organizations facing such a financially challenging time right now, the opportunity to help someone couldn’t be greater and we are thankful to HP and Microsoft for giving us this opportunity. For our $6,000 HP Magic Giveaway contest, we are accepting entries from people who are nominating others in need or those they want to recognize – people they would like to bless as a result of winning such a huge prize. They win as a result of your winning. How cool is that? It could be a person who is unemployed, a financially challenged family without the means to buy products like these, multiple people with various issues, multiple families in need, an organization in need of mobile computers, a disconnected person that would value from being connected to the mobile social world, a person / organization donating their own time / money / energies to help others in need, a children’s hospital, a church, a soldier, a pastor, a nurse, a hero you want to recognize, etc. You get the idea. You tell us why you are nominating them and, if you win, what portion of the prize package you will give to them. Video submissions are also accepted, and highly encouraged. We don’t expect you to give the entire prize package away, but we are pretty sure you can find someone to help out or recognize. 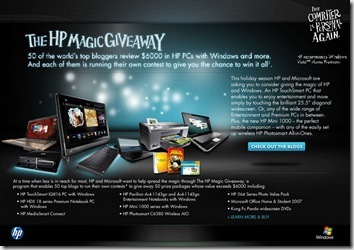 For a complete description of the prize package being sponsored by HP and Microsoft, visit the HP Magic Giveaway site. Here are the two steps for entering our contest for your chance to win over $6000 in computers, software, and accessories. In addition, be sure to read below for how to earn “bonus points”. 2) Subscribe to our email news update. There are several ways of adding bonus points to your entry. These are completely optional, and the lack of bonus points will not hurt a truly outstanding entry. Who knows, though, it just might be enough to put you over the edge! Conversely, bonus points will not help an absolutely lousy entry, so make sure your entry is up to snuff. Now on to the details about how to earn bonus points. Entrants who followed steps 1 and 2 above will receive bonus points on their entry for forum participation. Reply to or create at least one topic in either our HP or Vista forum categories. The more participation, the more points. If you are not already a member of our forums, register here. We think you’ll like our community…. In addition, if you create a video to go along with your entry, that will be looked upon very favorably. It must be unique to GottaBeMobile’s HP Magic Giveaway contest, and mention GottaBeMobile, HP, and Microsoft somewhere in the video. There is a place in the entry form for you to put a link to your hosted video from YouTube, Blip.tv, etc. 1) Staff and customers of GottaBeMobile.com and Zoe Technologies, Inc. are not eligible to enter GottaBeMobile.com’s HP Magic Giveaway contest. Entrants who have won this prize package at one of the other 49 blogger’s websites involved in the HP Magic Giveaway will be disqualified. 2) The winner agrees to submit a 500+ word article, with pictures, by December 31, 2008, describing how you presented your gift, their reactions, etc. This article will be published on GottaBeMobile.com. News media in your local area may be notified. 4) Entries will be accepted through midnight MST, December 7. The winner will be chosen subjectively by various writers at GottaBeMobile.com. Bonus points will be distributed at the sole discretion of GottaBeMobile.com, but will be based upon the criteria laid out above. The winner will be announced on December 8th and notified via email. The winner has 48 hours to respond from the time the email is sent. If no response is received within 48 hours, another winner will be chosen. One entry per person. A qualified entrant must complete steps 1 and 2. A valid email subscription is one that has been verified through the email validation that FeedBurner sends. For more info on their contest and to fill out their entry form head directly to their contest here. 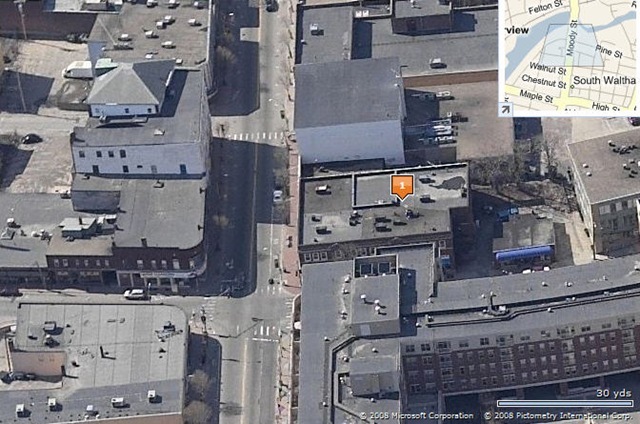 Today, the HP Magic Giveaway is coming to this very corner of the web. Your chance to win $6000 of the best (sealed and unsmudged) geek toys for this holiday seasons from HP and Microsoft in just a couple of keystrokes and mouse clicks away. For Tablet PC users it’s just a few pen strokes and taps away. Head over to the istartedsomething.com HP Magic Giveaway contest minisite for the prize package and entry information. In keeping with the holiday spirit, where no one really has time or effort to do anything, it can’t get any easier than a simple sweepstake. Just register your name and email. But there’s a twist. Users of the Windows Vista (and newer) operating system are given the opportunity to claim a bonus entry. If you don’t use Vista (or tried Vista), might be a good time to head over to a friend’s house and check it out. The competition runs for 7 days until Tuesday, 9th of December 2008. If the technology works, a winner will be drawn later that day. Good luck. 1. Create a completely original piece of gadget inspired techie artwork that includes the word gadgeteer somewhere in it. The artwork can be a painting, a drawing, a sculpture, a carving, whatever you might consider to be art. The sky is the limit, but please be as creative as possible. 2. Take one digital picture of your artwork. Make sure the image is at least 1024x768 resolution. Images smaller than 1024x768 will be disqualified. 6. I will be putting these images up on my flickr stream, so you'll all be able to enjoy them. For more on Julie’s contest head here. Also don’t forget you do have other chances to win as well so be sure to check out all the 50 sites participating in the HP Magic Giveaway at HP's Magic Giveaway site. Good luck entering the contests for today as well as entering the other contest from Hack College, here, Mediablab, Neowin, Morningside Mom, Thoughts on poetics & tech, Bleeping Computer, Gear Live, and Windows Connected. On the fourth day of the contest for the HP Magic Giveaway Contest there will only be one site launching their contest. Our new favorite PC manufacturer is giving us more than $6000 worth of gear to make one lucky group of friends' Christmas spectacular. 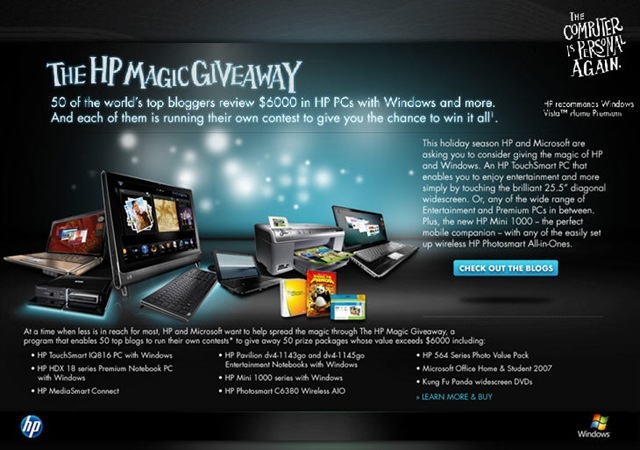 49 other blogs are also participating in the HP Blogger Magic Giveaway. We are more than excited to be giving away 3 laptops, a desktop and a few other things. We want to give our package to a group of 4 friends. Whether you are roommates, housemates or can only tolerate eachother long enough to enter the contest, we encourage everyone to enter. To enter, we're asking each of your 4 team members to join our Facebook page and then report back here. We will be randomly selecting a fan of the Facebook page on December 8 and announcing the winner on our Facebook page. If the randomly selected winners do not respond to us within 12 hours, we will select new winners. First, head over to our Facebook page with your 3 friends and become fans. Then enter your name, your email and your 3 friends' names in the form here. Also don’t forget you do have other chances to win as well so be sure to check out the other 50 sites participating at HP's Magic Giveaway site. Good luck entering the contests for today and from the other contest from here, Mediablab, Neowin, Morningside Mom, Thoughts on poetics & tech, Bleeping Computer, Gear Live, and Windows Connected.